Erik Skoglund (24-0, 11 KOs) continues his World title charge following an impressive performance against Derek Edwards (27-6-1, 14 KOs) tonight in Nyköping, Sweden. The 24 year-old Swede used his height and reach advantage to good effect, keeping Edwards at range throughout the ten-round contest. Despite trailing on points, Edwards remained a threat as he looked to land his big overhand right. However, it was Skoglund who came closest to scoring a knockout. An uppercut in the sixth-round sent Edwards to the canvas, but the referee ruled it a slip. In the tenth-round, the American was once again in trouble with Skoglund unloading a barrage of punches before the final bell. The judges scored the fight 100-90, 99-91 and 99-92 all in favour of the home fighter, who expressed his delight at the result. 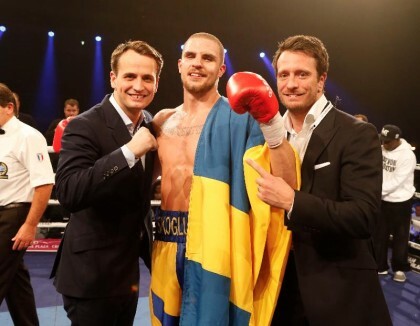 ‘’This was one of his toughest fights of my career,’’ said Skoglund. ‘’Edwards was dangerous throughout the whole fight, but I stuck to my game plan and kept him at a distance. ‘’It was like a dream scenario for me, everything went exactly as we planned. I felt that I was close to getting the stoppage, but he was tough and I couldn’t land the final punch. ‘’I was very impressed by Erik performance. He fought the perfect fight,’’ said promoter Nisse Sauerland. ‘’Derek is a seasoned professional and he came here to win, but was beaten by the better man. On the undercard, Swedish Olympian Anthony ‘Can You Dig It’ Yigit (16-0-1, 7 KOs) proved his potential with an impressive performance against former World Champion DeMarcus Corley (42-26-1, 25 KOs), forcing the American veteran to quit on his stool at the start of the fourth-round.